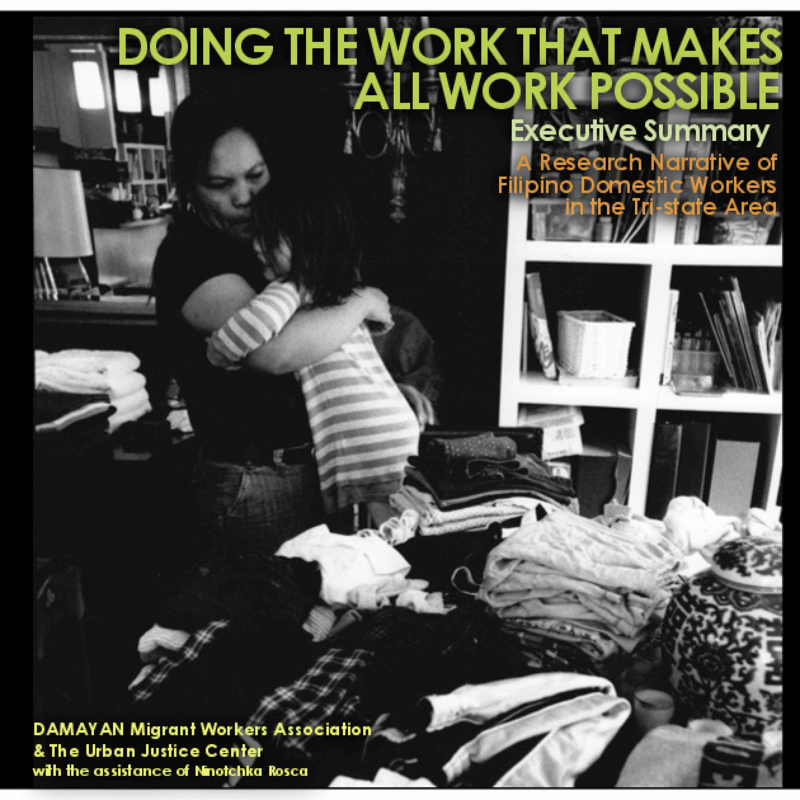 DAMAYAN Migrant Workers Association, in partnership with the Community Development Project of the Urban Justice Center, engaged in this multi-year study to understand the plight of Filipino domestic workers living in the tri-state area. The study utilized a community-based participatory action research approach (CBPAR). From inception to release, domestic workers, their children, staff members and volunteers have been involved in multiple levels of this research. Domestic workers were purposefully involved in the analyzing, writing and designing of the report. While there are volumes of literature written about the conditions of Filipino domestic workers worldwide, few studies focus on the migration and labor of Filipino domestic workers in the US; and none have made Filipino domestic workers comprehensively integral to the CBPAR process such as this one. Copyright 2010 Community Development Project at the Urban Justice Center, DAMAYAN Migrant Workers Association.